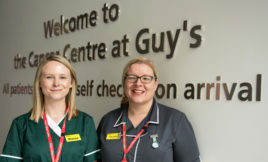 Thanks to the support of many generous donors, a hard-working team of clinicians and researchers at Guy’s are working on a number groundbreaking clinical trials into treatments for all urological cancers. St John’s Dermatology Institute at Guy’s and St Thomas’ is the UK’s largest referral centre for skin cancer. 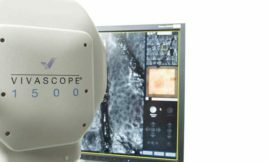 A new piece of technology, the VivaScope, is currently being tested there.